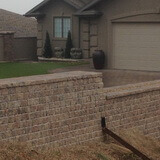 Driveways | Patios | Retaining Walls | Hardscaping | Regina, SK | Regina Interlocking Paving Stone Co ltd. Choose from our many options at Regina Interlocking Paving Stone Company, Ltd to create a beautiful and funcitonal retaining wall. We have a large variety of patio options to fit your home's style. From the type of paving stone to the design and layout, your patio will enhance the use of your yard. Would you like to enhance the look of your home from the street? Our drive way options are a perfect way to set your home apart from your neighbors! 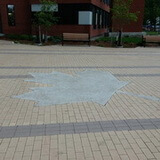 All of Regina Interlocking Paving Stone Company Ltd’s products are available in a wide selection of colors & patterns. For guaranteed professional installation in every job, contact us for a free estimate to get started.